Did you notice the two words that described the reaction of the “disciples” (the 12) vs. “others” who followed Jesus? “Frightened” is certainly appropriate since Jesus was heading into the “lion’s den” of opposition and the leaders were planning his death. But the word attributed to the emotion of the apostles, “astonished,” is interesting. The Greek word means “to stupefy (with surprise), i.e. astound:–amaze; terrify.” So, while the crowds were “frightened” the apostles could not even begin to conceptualize that Jesus was actually going to Jerusalem. Of Jesus’s miracles I have always thought that the raising of Lazarus was the most dramatic. Unlike the rather private raising of Jairus’s daughter this miracle was performed in full view of “many” Jews from the capital of Jerusalem. Jesus’s compassion for a friend is described. And the drama of Lazarus walking from the tomb, still sheathed in the wrappings of death is overwhelming. Some think of Thomas as the “doubter.” Yet, we see in this verse we read that he has faith to the point of being willing to die for the Lord. And Martha, we may think of her as the “Type A, workaholic” who did not place worship as a priority over works. Yet, we see her succinctly state her understanding of Jesus’s mission and who he really is. Luke 16: 8 “The master commended the dishonest manager because he had acted shrewdly. For the people of this world are more shrewd in dealing with their own kind than are the people of the light. 9 I tell you, use worldly wealth to gain friends for yourselves, so that when it is gone, you will be welcomed into eternal dwellings. The above verses of course are from the parable of the “the Unjust (or Shrewd) Servant.” And this is another of Jesus’s teachings that I have had to “ponder” because it appears that He is justifying deceitful business practices. Luke 16: 9 I tell you, use worldly wealth to gain friends for yourselves, so that when it is gone, you will be welcomed into eternal dwellings. Warning against the leaven of the Pharisees (Luke 12:1-7).Warning against the blasphemy against the Holy Spirit (Luke 12:8-12). Warning against covetousness (Luke 12:13-21). Warning against anxieties (Luke 12:22-34). Warning against failure to “watch” (Luke 12:35-40). Warning against unfaithfulness (Luke 12:41-48). Warning against divisions due to God’s word (Luke 12:49-53). Warning against ignoring the signs of the time (Luke 12:54-56). Again, a reading with so many important teachings and examples. But a single word from Luke 38-41 caught my attention. From earlier verses we see that Martha was not idle — in fact she was doing “good works.” She was serving the Lord and His disciples. So, what she was doing was in no way wrong (and we should also be doing “good works.”) But she had set aside the greatest priority to perform a lesser one. What she neglected was worship & a focus on the Lord. The lesson for us is obvious. In these chapters Jesus is persistent in teaching the leaders of the Jews the reality of who He is — the Son of the Living God. In my opinion there is a single verse that with a little word study summarizes Jesus deity. The Greek expression used here literally means “I exist.” Jesus was not saying “I was there” Instead he is saying that he existed then and exists now — He has been and always will be. Coffman summarizes: The majestic “I AM” with which Jesus concluded this confrontation suggests God’s “I AM THAT I AM” (Exodus 3:14) and there can be no reasonable denial that Jesus here claimed equality with God. A check of the teachings in this chapter reveals that Jesus presented himself as one with Almighty God no less than a dozen times. Today’s & another recent reading provide examples of where the values of the Kingdom are so different from the values of the “world.” Jesus taught that to “achieve” a goal we have to “be” just the opposite. Matthew 16: 25 For whoever wants to save their life will lose it, but whoever loses their life for me will find it. Matthew 18: 4 Therefore, whoever humbles himself like this child is the greatest in the kingdom of heaven. But isn’t it interesting that they still did not fully understand the divinity & salvation in their midst — the only Son of the Living God. Mark 9: 9 As they were coming down the mountain, Jesus gave them orders not to tell anyone what they had seen until the Son of Man had risen from the dead. 10 They kept the matter to themselves, discussing what “rising from the dead” meant. Again in today’s reading we go from a “mountain-top” to a “rock-bottom” moment This time it is one man — Peter who experiences the momentous change. The mountain-top: Matthew 16: 5 “But what about you?” he asked. “Who do you say I am?” 16 Simon Peter answered, “You are the Messiah, the Son of the living God.” 17 Jesus replied, “Blessed are you, Simon son of Jonah, for this was not revealed to you by flesh and blood, but by my Father in heaven. The rock-bottom: Mark 8: 32 He spoke plainly about this, and Peter took him aside and began to rebuke him. 33 But when Jesus turned and looked at his disciples, he rebuked Peter. “Get behind me, Satan!” he said. “You do not have in mind the concerns of God, but merely human concerns. And we know that, like Peter, we experience moments of victory and moments of defeat on our journey as believers. Our challenge — remain faithful and keep always moving forward towards our goal! Mark 7: 7 After he had left the crowd and entered the house, his disciples asked him about this parable. 18 “Are you so dull?” he asked. “Don’t you see that nothing that enters a person from the outside can defile them? But before we criticize the apostles too strongly remember the tenants that had been taught the apostles from their birth by their religious leaders. I think commentator AT Robertson makes an excellent point: It was a discouraging moment for the great Teacher if his own chosen pupils (disciples) were still under the spell of the Pharisaic theological outlook. It was a riddle to them. “They had been trained in Judaism, in which the distinction between clean and unclean is ingrained, and could not understand a statement abrogating this” (Gould). A message for us today — we should never stop comparing the teachings we hear to the inspired Word of God. And that is why establishing a routine of Bible reading and study is critical to our spiritual development. 60 On hearing it, many of his disciples said, “This is a hard teaching. Who can accept it?” …. 66 From this time many of his disciples turned back and no longer followed him. 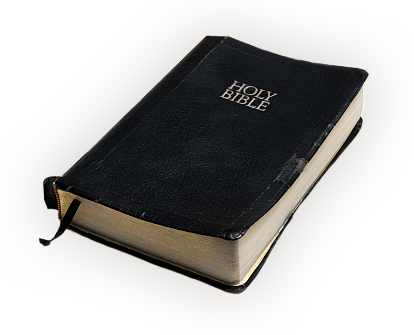 One of the real blessings I think we often overlook is that we can hold in our hands in many forms (books, tablets, cell-phones, etc) the complete inspired Word of God. Matthew 14: 16 Jesus replied, “They do not need to go away. You give them something to eat.” 17 “We have here only five loaves of bread and two fish,” they answered. Luke 9: 13 He replied, “You give them something to eat.” They answered, “We have only five loaves of bread and two fish—unless we go and buy food for all this crowd. All three of these gospels describe the same event (and we will see John do the same.) And do you see recorded a common action taken by the disciples. ? I read once that when challenged with an apparent impossible task the disciples did what we do so often — they took an inventory what they had. But they never looked at who they were following. Matthew 10: 16 “I am sending you out like sheep among wolves. Therefore be as shrewd as snakes and as innocent as doves. Well, the popular view of snakes has changed greatly time. Today to many snakes are evil and to be avoided. However, at the time of Christ snakes were associated with wisdom by many cultures. The commentator “Got Questions” stated, As we take the gospel to a hostile world, we must be wise (avoiding the snares set for us), and we must be innocent (serving the Lord blamelessly). Jesus was not suggesting that we stoop to deception but that we should model some of the serpent’s famous shrewdness in a positive way. Wisdom does not equal dishonesty, and innocence does not equal gullibility. I have highlighted a few words that I seemed to have read for the very first time — well, maybe this is the first time I saw them “this way.” We can certainly sow seed with our contacts and our evangelism. But did you notice that regardless of the effort of the sower, it is not his effort that causes the kingdom of the Lord to grow? The growth of God’s kingdom is greater than our efforts — this is not an excuse to “cut back” on seed planting. We serve because we love. But is is humbling to acknowledge the power of the Lord — His will shall be fulfilled! Maybe (well, probably) because Liz and I have been blessed with three daughters and two granddaughters I cannot read the story of the healing of Jairus daughter in Luke 8:40-56 without actually becoming personally immersed in the emotion of this miracle. As we discussed yesterday, like Jairus, I would certainly pray shamelessly for the healing of any of the girls & unabashedly rejoice at their healing. Why is it that you weep? Who does this Man think He is? 8 I tell you, even though he will not get up and give you the bread because of friendship, yet because of your shameless audacity he will surely get up and give you as much as you need. What is it to ask shamelessly? In my mind it is to put all of my pride, my trust in my own abilities, and any thoughts of hope without faith in the Lord totally out of my mind and to just fall on my knees in prayer. We see multiple examples of this in scripture including the synagogue ruler falling at Jesus’s feet in pleading that his daughter be healed and the Canaanite (Syro-Phoenician) woman begging for the removal of demons from her daughter. Isaiah 35: 3 Strengthen the feeble hands, steady the knees that give way; 4 say to those with fearful hearts, “Be strong, do not fear; your God will come, he will come with vengeance; with divine retribution he will come to save you.” 5 Then will the eyes of the blind be opened and the ears of the deaf unstopped. 6 Then will the lame leap like a deer, and the mute tongue shout for joy. Water will gush forth in the wilderness and streams in the desert. Sound familiar? Of course these are the signs that Jesus just gave John’s disciples. And I am sure that when they returned John recognized the source of and the fulfillment of this prophecy. But a reality that has saddened me is that if John recognized these signs, so should the leaders of the Jews. And this is another realization of how hardened they had allowed their hearts to become.